While the nation was still recovering from the American Civil War and the economic problems it brought, James Abram Garfield, served as the 20th president of the United States of America. He had been serving nine terms as a member of the House of Representatives prior to his presidency. On the 19th of November, 1831, the fifth child of Eliza Ballou and Abram Garfield, a poor family in from Ohio, was given birth and named James Abram Garfield. James was only more than a year old when Abram died and left taken care of by his Welsh mother Eliza Ballou and helped by her brother. He dreamt of being a seafarer as a young boy and even opting to work as a canal driver at the young age of 16 but he got sick after more than a month of working and was left with no other choice but to leave the sea. With this, he decided to concentrate on academics and attended Geauga Academy after recovering from his illness. James Garfield did not come from a wealthy family and had to pay his school bills by working and studying at the same time. He was a carpenter and a janitor at his school to pay his tuition and additional expenses for school. He even accepted the position of a part-time teacher to further become a means of making him finish school on his own in 1849. 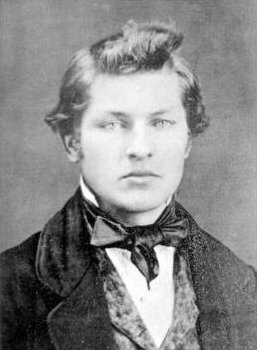 James Garfield went to Hiram College for higher education from 1851 to 1854. He showed interest in studying Mediterranean languages such as Latin and Greek, and was encouraged to teach students. After which he started studying at William College in Massachusetts and was able to graduate as one of the best students. James Garfield soon became a member of different organizations such as the Delta Upsilon fraternity and elected as president of a debate team because of his magnificent debating skills and also, the editor their school paper. After a few years, he taught classical languages at the Eclectic Institute and was chosen to become its principal from the year 1857 until 1860. It was here where he realized that he shared the point of view with Republicans to stop owning and mistreating their slaves. He was known as a good educator with a strong hold of his principles and beliefs. He married a former student of his, Lucretia Rudolph, on November 11, 1858 and had seven children with her – five boys and two girls. During the same period, he felt that he did not enjoy teaching anymore and pursued to study law in 1859 and passed the Ohio bar exams after a year. He was then nominated a position at the state senate and marked the beginning of his political career. When the Civil War broke out, James Garfield was called to serve in the Union Army. He headed the 42nd Ohio Infantry. He was regarded as a Civil War hero when he brought victory twice. The first was on January 1862 by making the Confederates withdraw from the field, and his leadership skills was further distinguished when he decided not to pursue them so that his men would not be too tired, and for food and other supplies be given to them. His second victory happened at Chickamauga in September of 1863, with the then youngest major general fighting valiantly. After a few months of serving the Army of Cumberland, he resigned and chose his position as congressman in December 1863, a position he won without even having to exert any effort for campaigning. Being a man of scholarly air, James Garfield, highly valued the ability of being able to accommodate what his colleagues wanted but without disregarding the principles that he believed in. During his service as congressman, he made important legislations about financial and economic management including his strong opposition to the use and issue paper currency without species and remained to advocate on hard money (gold). He believed that the bankers and those in the financial sector would be treated unfairly when the money they loaned would be returned to them via paper dollars that are worth less than what was owed to them. He also showed despise to the creation of farm cooperatives and believed that these institutions breed communism. He was also known for showing support to the campaign of some of the previous presidents such as Abraham Lincoln, Ulysses Grant and Rutherford Hayes, where he was one of the members of the Electoral College that gave him the vote from the three Southern states. 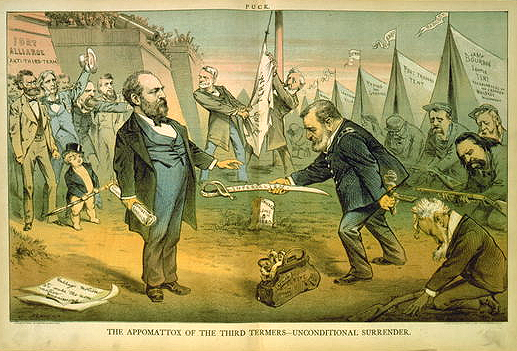 After the incumbent President Hayes refused for a second term at the White House, Garfield showed a strong support for the presidency of then Secretary of the Treasury, John Sherman. At that time, he was eyeing on the position of Democratic senator, Allen Thurman, who would not be re-elected because of the Republican control in the United States Senate. But things changed when the Republican Party held their nomination on who will have their support in the presidential campaign. The nominees were former president Ulysses Grant, his bet John Sherman and a senator from Maine, James Blaine. The votes from the delegates of the event were heavily divided and none of them were able to get the majority vote. It was until a courtesy vote was given to James Garfield which made him the presidential candidate from the Republican Party together with Chester Arthur as his vice president. During the election, the competition on the popular votes was close, but he was able to defeat the candidate of the Democratic Party, Winfield Scott Hancock with 214 electoral votes. 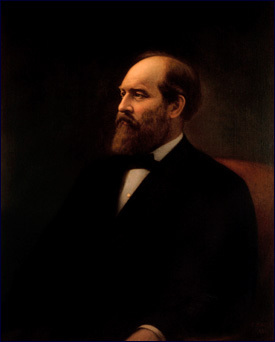 Civil service reforms, bi-metal currency and increasing rights for the blacks were some of the priorities mentioned by James Garfield during his inaugural speech. He was also able to contribute to economic growth by the refunding of government bonds thus resolving the country from millions in national debt. He was able to achieve this feat without even asking the help from the Congress. He also continued the previous plans of Grant and Hayes on reforming the civil service appointments and even emphasized that current employee or appointees of federal offices may be fired if proven that they are not performing their jobs well. 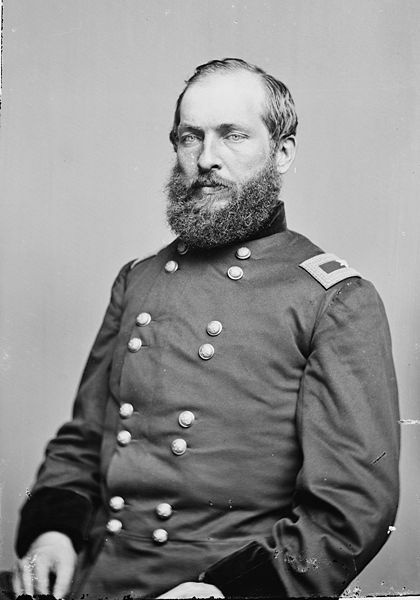 James Garfield also took part in foreign affairs such as the issue of Chinese immigrants in the country, the reciprocal treaty between the United States and the Hova government of Madagascar so that they will have full control of their natural resources, the issues on the naval fishing borders with the British government and the gaining recognition of the country in Korea. However, James Garfield and his plans as the president of the United States were cut short after he was shot by Charles J. Guiteau, telling that he felt he was bypassed on his federal position. It was later clarified that he might have a mental illness due to syphilis but was still charged guilty and executed. Garfield survived the gunshot wound but it was later infected. He suffered from heart attack, passing away on September 19, 1881. He became the second president of the United States to be assassinated. James Garfield only served his position for about 200 days; he may not have left that much of an impact but his legacy on foreign policy and economic development would forever be remembered. Hi, my husband just found out yesturday that President Garfield is his great great great uncle. His great grandmother was his neice. Our last name is Gompf and his father’s name is Craig Gompf.